My sister made her annual trip to the kitchen last week. 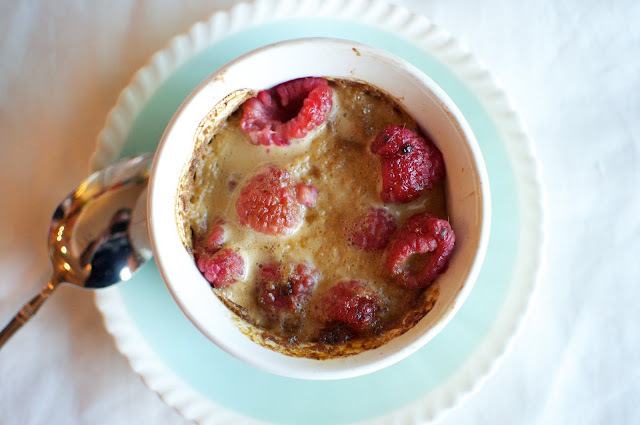 She made Fresh Raspberry Gratin from Barefoot Contessa. 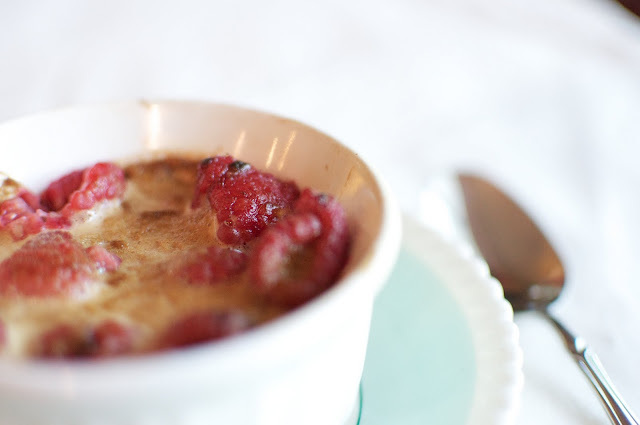 This is a deliciously rich custardy/creme brulee-ish treat. I had leftover marsala from a past recipe gone disastrously wrong. We spotted this recipe and redeemed that little bottle of marsala. It was good! Preheat the broiler for at least 15 minutes, and get ready to make the sabayon (delicious mouse/custard topping.) Fill a large pot with about an inch of water and bring to a slow simmer. Not boiling. 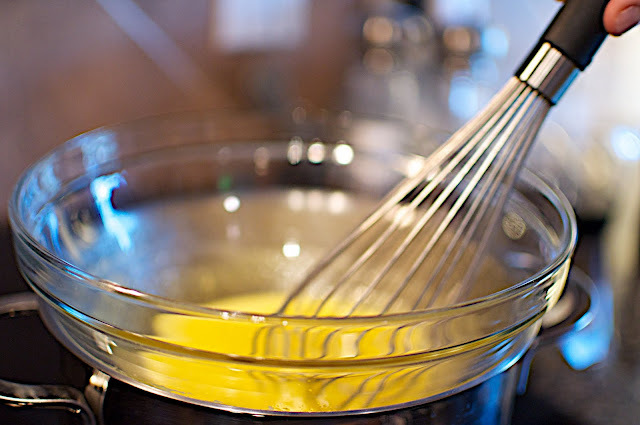 In a heat-safe bowl, whisk together 8 egg yolks and 2/3 cup superfine sugar over the simmering water. Don't just stir. 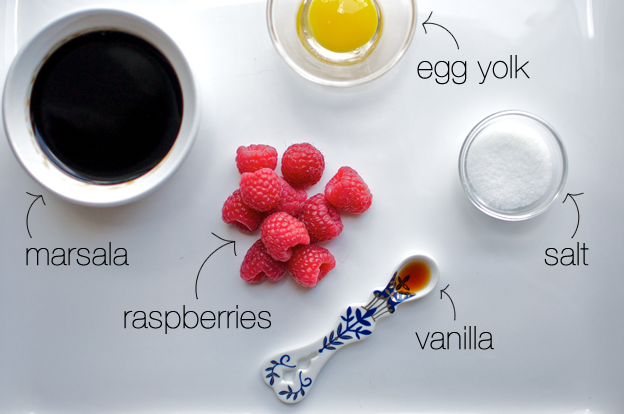 Whisk like you've never whisked before. It should thicken and increase in volume in about 5-10 minutes. Slowly add 1 cup of sweet marsala and whisk for 5 more minutes until thick. 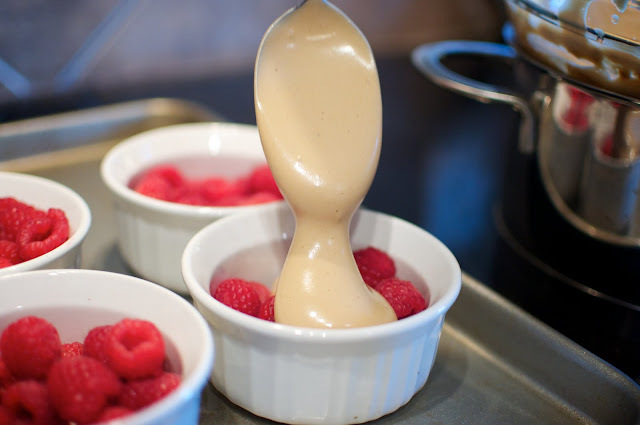 Whisk in 1/4 teaspoon vanilla. Remove from heat. 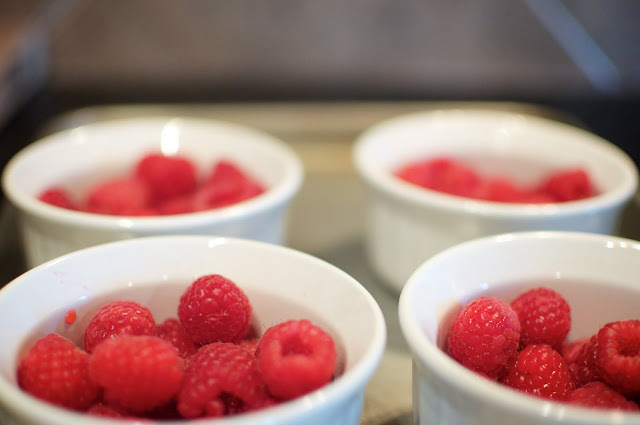 Place fresh raspberries in six gratin dishes. 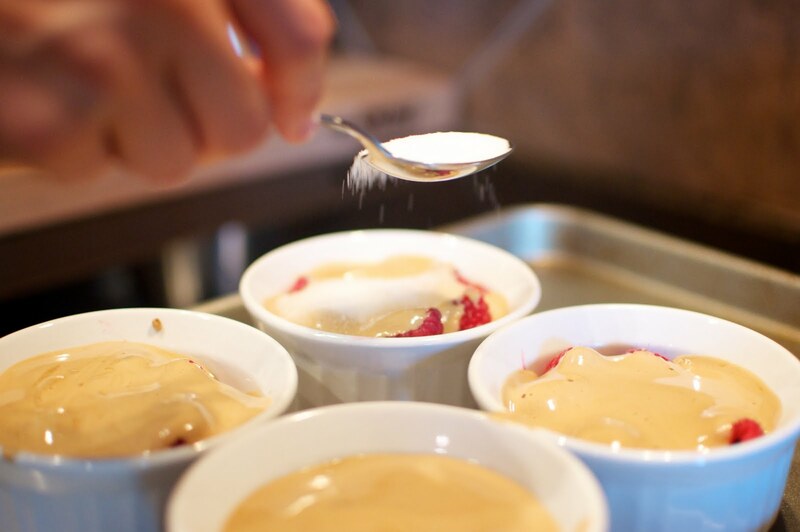 Sprinkle a thin layer of sugar on top, and place about 5 inches under the broiler for 2 minutes. They should start to lightly brown. Don't sit down or look the other direction. It will BURN. Poor sister made the saddest face when she saw a smoking black burning coming from her pretty gratin. We scraped off the burned layer, and pretended it wasn't supposed to have a crispy top.